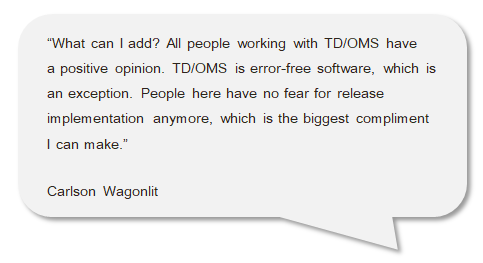 TD/OMS can be of great help for those development shops who need to improve collaboration among all team members. Integration with multiple collaboration and workflow management solutions, including Gravity, streamlines application maintenance and improves communication between IT and other departments. 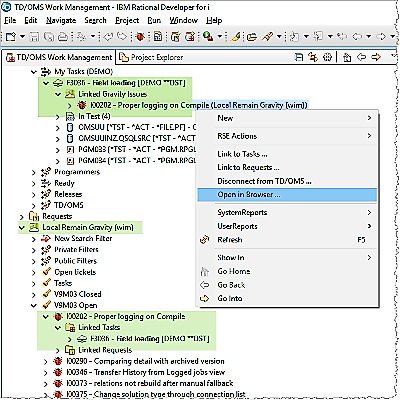 Gravity is a project and workflow management solution suitable for organizations of any type or size that require easier, faster and more visible management of various kinds of processes across departments and teams. TD/OMS brings significant value to all customers that are not only looking to improve their software development process but are also looking at analysis and modernization of legacy applications. TD/OMS is a key tool providing complete control of these processes; assuring security and delivery of high-quality applications on time and within budget. Users will quickly notice how workflow management functionalities combined with TD/OMS can significantly improve quality of the software development process.